These are the people who work hard and smart to carry out Family Forward’s bold but achievable mission to create a caring economy in Oregon that really works for all of today’s families. Elisa Andrade is a first generation immigrant from Mexico City, Mexico and has established deep roots in this country. Growing up in the small town of Silverton, Oregon, her initial work in nonprofit was her involvement with Silverton Food Bank and Silverton Together as a young volunteer. Elisa has drawn inspiration from her mother’s involvement in the Latina farmworker and immigrant organization Mujeres Luchadoras Progresistas, an organization she holds dear to her heart to this day and one she continues to support as a lead member of the organization. 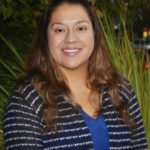 Elisa has invested much of her time to serving immigrant families having worked for PCUN Service Center as a Partially Accredited Representative, approved by the Board of Immigration Appeals to represent immigrants before the United States Citizenship and Immigration Services. More recently she continues to assist low income families and immigrants in the Salem area as a Resource Navigator for Mano a Mano a sister organization of PCUN with in the CAPACES network. She is a proud mom of three: two boys 3 yr., 10 month old, and a 10 year old stepdaughter. Sharon Bernstein is Co-Founder and Deputy Director of Family Forward Oregon. She leads our education and workplace programs and manages our finances. Sharon’s experience as a parent has solidified her understanding that we can’t make social change through individual decisions alone — we must work together as a movement. Her passion for social justice drives her work. Sharon is the mother of two young boys ages 8 and 11. 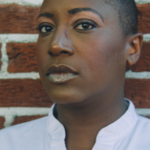 Tiffany Chapman is our Portland Regional Organizer. She is a single mom and former early childhood educator, and volunteering has always been central to Tiffany’s life, from AmeriCorps to SEEDs for Early Literacy. (In fact, she got her start with Family Forward as a volunteer in 2017!) 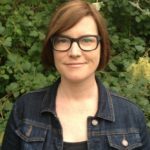 Tiffany brings multiple perspectives of how Oregon’s child care system is failing: As a parent as well as former teacher, center director, and business owner, she understands how heavily the economic burdens of child care weigh on both parents and providers. Tiffany is excited to join our team and continue breaking down barriers and advocating for affordable, accessible child care. Shani Harris-Bagwell is our Portland Regional Organizer. 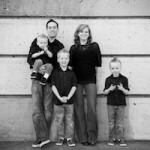 She is a nanny and longtime caregiver of her brother and grandparents, as well as a life-long activist. She is the founder and moderator of the Portland POC Theater Facebook Group, a group dedicated to creating a community of theater artists of color and providing a forum for casting, opportunities for workshops and collaborations targeted for people of color in the Portland area. She is active in the community, currently serving as Policies Chair of the Drammy Committee, Chair of the Individual Membership Committee of the Portland Area Theater Alliance Board, and is also proud to be on the PBOT Bureau and Budget Advisory Committee! She is an accomplished performer who has performed locally and internationally. She received her B.M. in Vocal Performance with an emphasis in Musical Theater from McNeese State University in Lake Charles, Louisiana. (Geaux Pokes!) Shani is excited to put her varied skill set to use to help pass groundbreaking policies like paid family and medical leave. 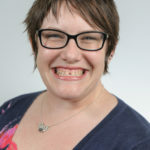 Lili Hoag has worked in policy and public affairs in the UK, focusing on inter-generational care patterns and work-life balance policies across Europe and North America. She holds a masters in Gender and Social Policy from the London School of Economics and has been a researcher and a lobbyist. A native Oregonian (Eugene), she is interested in using her understanding of national and international policy to frame the work we do in our state to make positive change for families. Nichi Linder is a long-time feminist who believes strongly in the power of grassroots movement to create real social change in our communities. When women, particularly women of color, are lifted up, we all win. She has dedicated her professional career to creating positive change that betters the lives of Oregonians. With nearly a decade of experience in the reproductive rights & justice movement, Nichi is well-versed on what it takes to win. She’s an activist, a mother, an aspiring gardener, and a dedicated social justice warrior who knows learning never stops – and the fight for justice is worth it. Kate Newhall has been working in Oregon policy spaces for over 15 years — in the legislature, for the Bureau of Labor and Industries, and in many other settings. She has developed a wide range of policy experience, including: legislative work, government agency operations and management, policy research, media relations, advocacy, voter outreach, campaign management and fundraising. 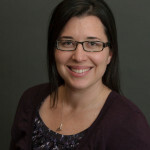 Danielle Nichols began her work at Family Forward Oregon in 2011 as a volunteer, leading a reading action group with local parents from her son’s school. She comes from a writing background with a BA in Creative Writing and over 10 years of legal and administrative experience. She recently declined admission to law school to find a more workable solution to work-life balance for her family and instead joining FFO to help do the same for other Oregon parents. Danielle is mom to three boys, ages 15, 12, and 9. 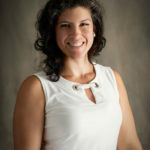 Andrea Paluso is Co-Founder and Executive Director of Family Forward Oregon. Andrea is a social worker turned community activist and fervent policy wonk. She has worked in public education, community health clinics, and in international development. She has master’s degrees from Columbia University in social work and public health and a work history in public policy and nonprofit program management. Andrea hopes that our work will inspire and help parents, employers and policy-makers to create the kinds of policies that work for today’s families. Andrea is the mother of two kids, ages 9 and 11. 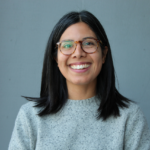 Melanni Rosales is dedicated to using her background in strategic communications to help improve the well-being of women and all working families. 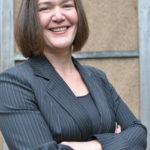 Having worked on statewide electoral and legislative campaigns, as well as with nonprofits, political organizations, public-sector organizations, and socially responsible businesses, she develops and oversees integrated communications strategies that emphasize coalition and community building.